I don’t know about you but once winter hits I like to start my day with something warm and cosy but I’m also mindful of warding off winter bugs so healthy is also key! Usually I have porridge with autumn compote which I blogged about here. this week though, I fancied a change. 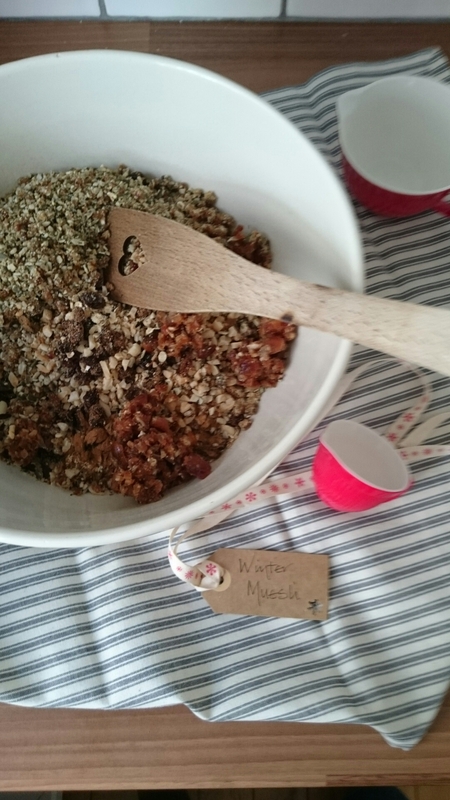 I raided the supermarket and came up with my own recipe for muesli based on a few I had made in the past. 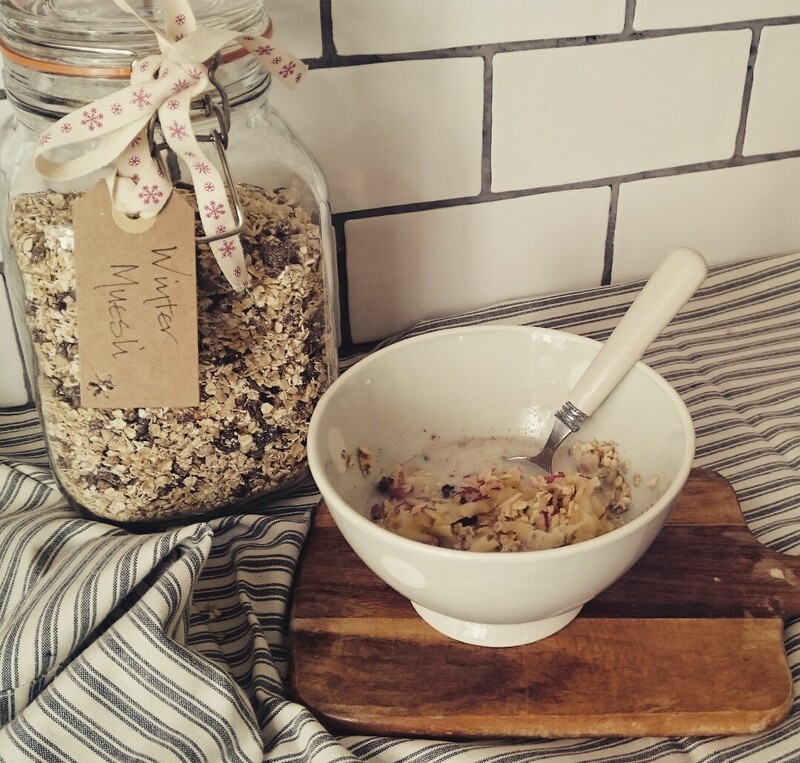 Shop bought muesli is high in sugar so I prefer to make my own to know what’s in it and control the sugar level. 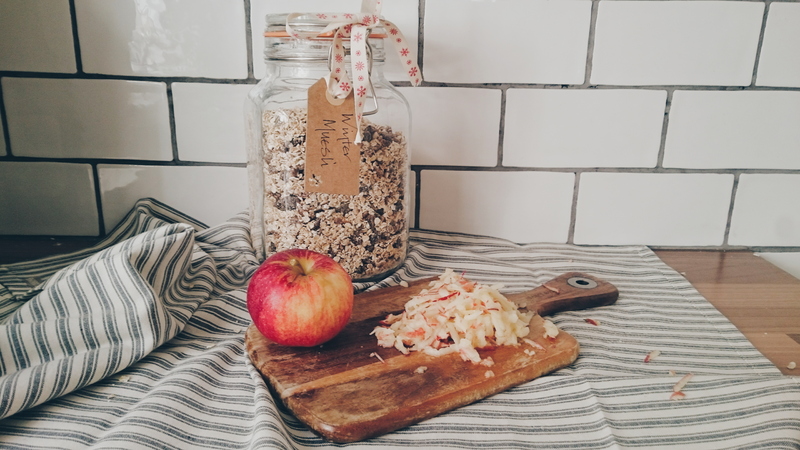 I like to add grated apple and warm milk – let it soak up the milk for a few minutes – yum! I’ve also had it with Greek yoghurt and honey. you can play around with the ingredients based on what you like! I use a mini food processor to chop the seeds and dates together which stops the dates all sticking together as they get covered in the seed “dust”! Mix all together in a big bowl ensuring the ingredients are mixed up. Store in an air tight jar! I hope you enjoy the recipe. As always I love to hear your feedback so let me know if you try it! Thanks lovely hope you enjoy! I’ve noted the ingredients and going to give it a bash too. We’re on a health kick over here.